Click here to check out all the photos and action shots from the day on our Facebook page. Videos of matches can be found on Lawrence Ogden's YouTube channel by clicking here. Scroll down to find the fully updated results, below the match reports. It was a tough opening game between Mark Fuller and Jason Russel, the #1 and #2 seeds, respectively. Russell took the first game in a close encounter, only to see Fuller come back and close a crucial match out 2-1. In their remaining games the local Sheffield boys, Ed Walker and Alex Glencross, pushed both seeded players hard. In the battle between the locals it was Walker who came through the victor to take third place in the group. The Over 50’s welcomed the return of Gabriel Uttley, who despite looking strong, appeared slightly out of practice, but managed to push the top seed as he took a game off the favourite, losing out 2-1. On the other hand top seed Michael Wardle proved his worth as he won all of his group matches convincingly. Steve Robinson, who defeated Spencer Cooper 2-0, secured second place. In Group B, Neil Baldwin came through as group winner. Second place was Stephen Widdison who was pushed hard by Mike Fleming. In Group C, racketball veteran Rob Watkins came through defeating local Jeremy Turner. Our UK-Racketball Series regulars, Lee Sadler and Neil Bowyer, both went down to the group victor 2-0. Three very experienced racketball players contested the final group; all of which have experience in these final stages. All the matches were fiercely contested with no player looking like the outright winner at any stage. However in a trio of 2-1’s it was Neil Baldwin who came out on top in an extremely exciting category. With a late withdrawal in the Women’s category of Vicky Toates, who was unavailable due to her hen do duties, left a straight play-off between Nicky Green and Holly Moore. Nicky got off to a great start took the first game with relative ease, only to see Holly come back fighting as she took an early 6-0 lead in the second game. Nicky fought back hard but it wasn’t enough to close the match out as Holly took the game to a decider. In the third it was Nicky who was on top, exhibiting superior strength and moving Holly into all four corners of the court. Despites Holly’s vast improvements it wasn’t quite enough to stop Nicky from adding another UK-Racketball title to her collection. Group A saw a good start for #1 seed, Peter Seddon, as he defeated Jez Horrocks and Greg Marsters 2-0, before being overcome by the experienced Ian Graham who secured his place in the final. Group B saw the return of Stephen Utley who pushed Hans Bilson very close, eventually losing out 2-1. Hans in turn, pushed the skilled Graham Greensall in a seesaw match that looked like it could go either way; Greensall was the victor, 2-1. The Over 60’s final was probably the match of the tournament, which saw Ian Graham take the first game in a tight encounter, but Graham was always in control. Greensall came back strong in the second as the players went point for point to 7-7, at which point Greensall pulled away, and forced a decided, much the crowds excitement. It was a similar story in the third, both players exhibiting great racketball, with Greensall opening an 8-5 gap and became within touching distance of the title. However, Graham called upon all of his experience and fought back to take the deciding game in a thrilling encounter. It was a fantastic final on all accounts and a great advert for the sport. Daniel Hall played well in Group A, defeating Josh Park 2-1 in a very close game, before being outdone by the #1 seed and previous winner, Ryan Loska. In Group B, Peter Widdowson fought hard against Luke Haslam and Ian Graham, losing both 2-1. Tom Greensall ran hard on the day but struggled more against more experienced racketballers. The group was down to two clear favourites in Luke Haslam and Ian Graham. Haslam appeared to hurt his ankle early doors, yet continued to battle on, flying the flag for Hallamshire, before eventually getting beaten 2-1. In Group C, Kasey Hall once again came through unscathed, winning both games 2-0, despite being pushed hard by Simon Jackson. In Group D, local man Thomas Murton defeated Nicky Green 2-0, before losing out to Fred Cooke 2-1. In Group E, Matt Cam came through with relative ease, only dropping 1 game. In the one quarter final that was played, Fred Cooke overcame Matt Cam to secure his place in the semi-final, where he was victorious again against regular B grade finalist, Kasey Hall. IN the other semifinal it was Loska who outran Ian Graham, claiming his familiar place in the B Grade final. Ryan Loska added another title to his collection against first time finalist Fred Cooke, defeating him 2-0. A poor turn out in the Over 40's event this year with just the two entrants, Fred Cooke and Brendon Bennett. Cook took the title despite competing in two events, with a convincing 2-0 win over Bennett. There have been some minor changes. Nothing major but if you can look at the draws and schedules below that would be great. Open the PDF below to view the entry list. Draw will come out on Monday 25th of July with schedule to follow late on Tuesday 26th July. This event is filling up quicker than normal so though I would publish an entry list early to warn people so they don't miss out. 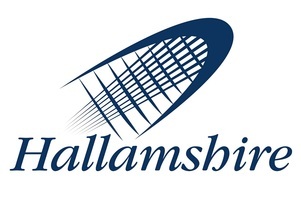 Hallamshire Tennis and Squash Club is an obvious choice as a venue for a UK-Racketball Series Event. 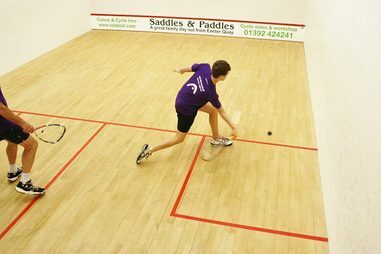 The Racketball section is one of the strongest if not the strongest in the country with plenty of group sessions running each week. The club runs a very successful racketball junior section on a Saturday morning, midweek women’s sessions and a very successful summer league. Hallamshire is home to squash legend Nick Matthew and players taking part in this years racketball open will have the opportunity to play on the Nick Matthew Championship Court. The club has hosted the National Junior Championships since it was founded 4 years ago and will do so again this year. 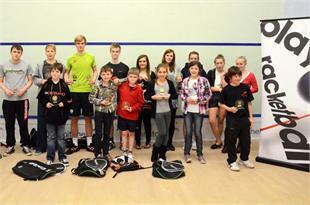 The number of home grown winners is testimony to the strength of the clubs junior section. 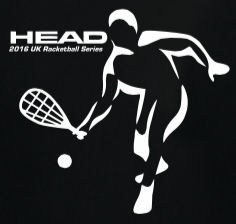 This is the second year that the event will be running at Hallamshire and due to it's large racketball following we are expecting a big local entry. If you are interested in this event then we recommend that you enter early to avoid disappointment. Hallamshire Tennis and Squash Club has first class facilities. 9 squash courts. 8 outdoor tennis courts and 4 indoor courts. A modern gym and lovely bar area. The bar will be open throughout the day with hot food available for most of the day. Located in South Yorkshire with good motorway links to the South. Yorkshire is a racketball hotbed so expect a good entry from the other centers that are close.